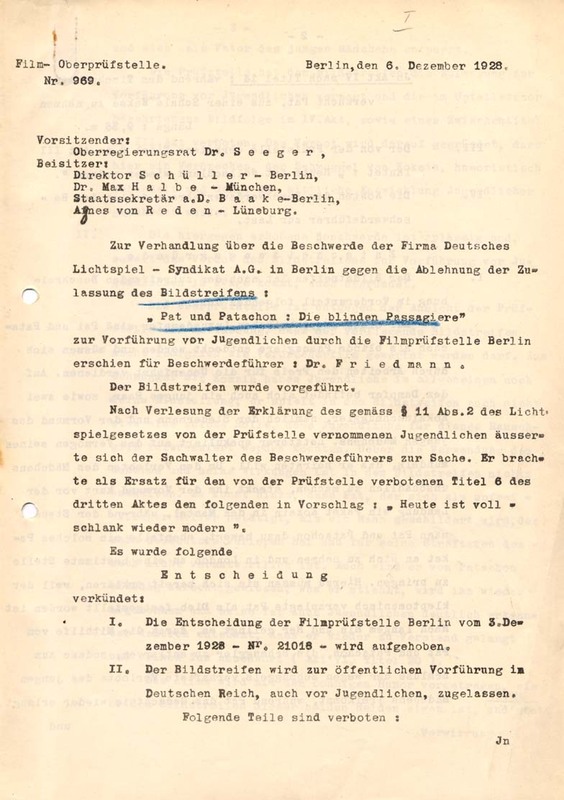 Description: The production company "Deutsches Lichtspiel - Syndikat A.G., Berlin" applied against the ban (for young people) of the film "Pat und Patachon: Die blinden Passagiere" at the censorship headquarter in Berlin. The application was accepted. The film was permitted without age restriction. One scene was additionally banned.